SUREFAS® products PERFIX® , Q-SNAP® and CAF-316® will be delivered free from defects in materials and workmanship and will not be damaged by exposure to sunlight, weather or water during the lifetime of the fabric with which it is used; provided, however, that this warranty does not apply to defects resulting from abnormal weather conditions, fires, cuts, abrasion, dirt, spillage or improper use or installation of the fasteners. • In the event of any replacement, pay for the reasonable and customary expense of an authorized dealer to re-install fasteners of any article that was entirely equipped with PERFIX® , Q-SNAP® and/or CAF-316® fastener products; or, at its sole option for us to choose, supply new PERFIX® , Q-SNAP® and/or CAF-316® fastener products and/or parts, however always up to the product value of the replaced fasteners. • only applies if and to the extent original PERFIX® , Q-SNAP® and/or CAF-316® fastener products and parts have been applied. This warranty is valid on orders from October 1, 2016 onwards, until further notice. 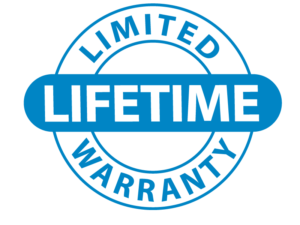 THIS LIMITED WARRANTY IS IN LIEU OF ALL OTHER EXPRESS OR IMPLIED WARRANTIES, INCLUDING, WITHOUT LIMITATION ANY WARRANTY OF MERCHANTABILITY OR FITNESS FOR A PARTICULAR PURPOSE. Except as specified above, and to the maximum extent permitted by applicable law, SUREFAS B.V. will not be liable for any costs and/or damages, whether direct, indirect, incidental, consequential, special, punitive or otherwise, including any lost profits, however caused. This document is additional to the General Terms and Conditions of Sales and Delivery of SUREFAS B.V., which apply to this warranty and may be downloaded from www.surefas.com. This warranty is governed by Dutch law. The provisions of the Vienna Convention on Treaties and of every other international regulation from which application can be excluded, are expressly excluded. All disputes arising from or associated with this warranty will be referred to the ordinary civil court in Dordrecht, The Netherlands.